Everyone wants to reside in a home that is safe, secure, energy-saving, and admired by all. Exterior Remodel & Design was established with the mission to help home owners build sturdy homes with the ‘wow’ factor. The team at Exterior Remodel & Design has more than 45 years of combined experience in the residential and commercial roofing industry and has been serving the Omaha and Lincoln, Nebraska, and Council Bluffs, Iowa areas since 2009. We will take the time to listen to what you need and tailor our service to your exact requirements so you waste no time in getting the end result you want. Finding a reliable contractor to do up a home’s exterior is extremely essential. This is because not everyone understands the nitty-gritty of materials that require to be used in specific geographical areas given the climatic conditions, as well as the technicalities to ensure strong constructions. Customers greatly depend on home improvement consultants and service providers to provide them the best within their budget. Over the years our experts have worked passionately offering remarkable home exterior improvement services in Omaha, and other cities of Nebraska. Immense hard work and sincerity have earned us the tag of being a leader in diagnosing homeowners’ problems and prescribing appropriate solutions. Moreover, being specialized in tackling all kinds of roofing issues, our patrons often tout us as having the best team of roofers in Omaha, NE. Besides, providing the most modern roofing solutions that help to slash down utility bills, our Consultant and Installation teams are experienced in assessing and repairing other home exterior damages as well. They offer the best of energy-efficient doors and windows that can face the lashes of hail and wind storms. Additionally, they are conversant with the insurance claims process and can comfortably partner with a homeowner’s insurance company to ensure that the claims process is carried out smoothly and preferably in the homeowner’s interest. 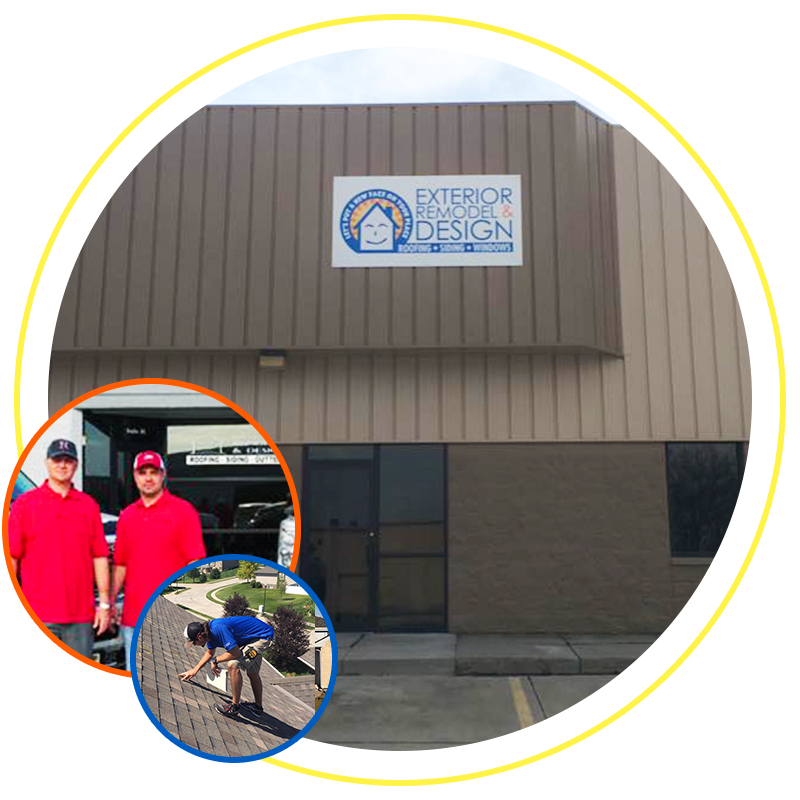 Partnering with Exterior Remodel & Design’s window and door specialists as well as roofers in Omaha or other service areas in Nebraska, means being rest assured of quality. We have a team of field inspectors, who are always on their rounds. They inspect all the work of our staff to assure quality control in every project undertaken. They also ensure that all structural work meets local building codes or international building codes (whichever applicable). On completion of the project, the property owner is provided with all necessary documents pertaining to the project. Finding a reliable contractor to handle a home’s exterior is essential. Depending on the climate, certain regions require specific materials. Customers greatly depend on home improvement consultants and service providers to provide them the best within their budget. Ready to take the next step with your roofing, siding, or exterior project in Omaha or Lincoln? Contact us today to get a free estimate and learn more about how our services can help you!